Guangzhou (ex Canton ), China. July 2004.Hervé Tordjman, a young French architect, was chosen among the 15 candidates invited to present their architectural project for the Guangzhou Twin Towers ( West Tower ).What a beautiful breathtaking project! The twin towers will be the highest towers in the world with 514.8 meters! 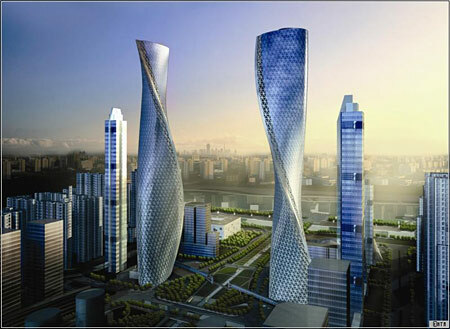 Each tower has a helical edge which turns around the tower at a 180° angle like a DNA structure. A funicular will run inside the helical edge, it is composed of two rotating ‘capsules’ which can transport 20 passengers each. It will take 6′ to reach the top of the tower. 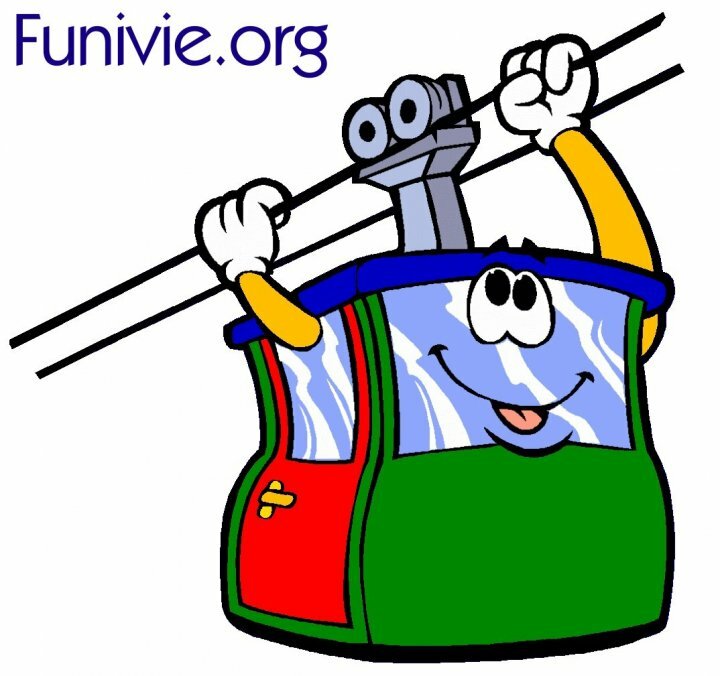 If this project wins the competition, the funicular will be the steepest inclined lift with a 420% slope!